The Queen-themed Hanukkah you’ll be dancing to for days! Home Jewish Holidays The Queen-themed Hanukkah you’ll be dancing to for days! This Queen-inspired Chanuka video will get you into the mood to play a dreidel game for a while…Awesome mash-up that will put you into the mood to celebrate Chanuka. On of the ideas of the game of dreidel is that it symbolizes our life and God’s involvement in our lives. We spin the dreidel – a four-headed top and accept that whatever the outcome is, we win. God watches over us no matter what. If we win, we of course win. If we lose – we also truly win. We just don’t realize that anything negative that happens to us is just a short-term “correction.” But, in truth, all negative things that happen are a blessing. This is the holiday of lights. But, it actually is a celebration of the light of the Oral Law. At the revelation at Mt. 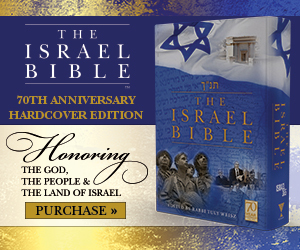 Sinai, God delivered the Bible to the Jewish people. But, he also delivered the Oral Law to Moses. Moses then passed that down to the next generation. That continues until today. Around 2,000 years ago, the Oral law was written down when the great Rabbinical scholars decided that it was going to be forgotten if they didn’t do that. So, today we have the Talmud – the written oral law – that the Jewish people study in schools of higher study. On Hannukah, we celebrate the military victory over the Greeks and Hellenists. But, the core of the victory was a victory of the spirit. Had the Jewish people wanted to survive, they could have renounced their religion and lived like Greeks. Many Jews chose that path. The real celebration of Hannukah is a celebration of the Jewish dedication to both the Written and the Oral Law. For that, the Jewish people were willing to die – rather than give it up. That dedication is what Hannukah is all about. This year and every year, we rededicate the lights in our soul when we light the candles of the candelabra on Hannukah.